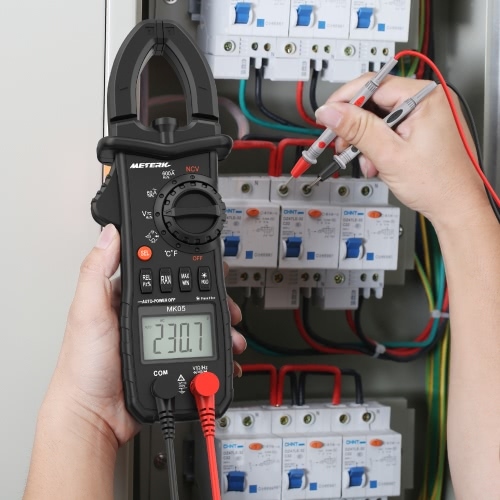 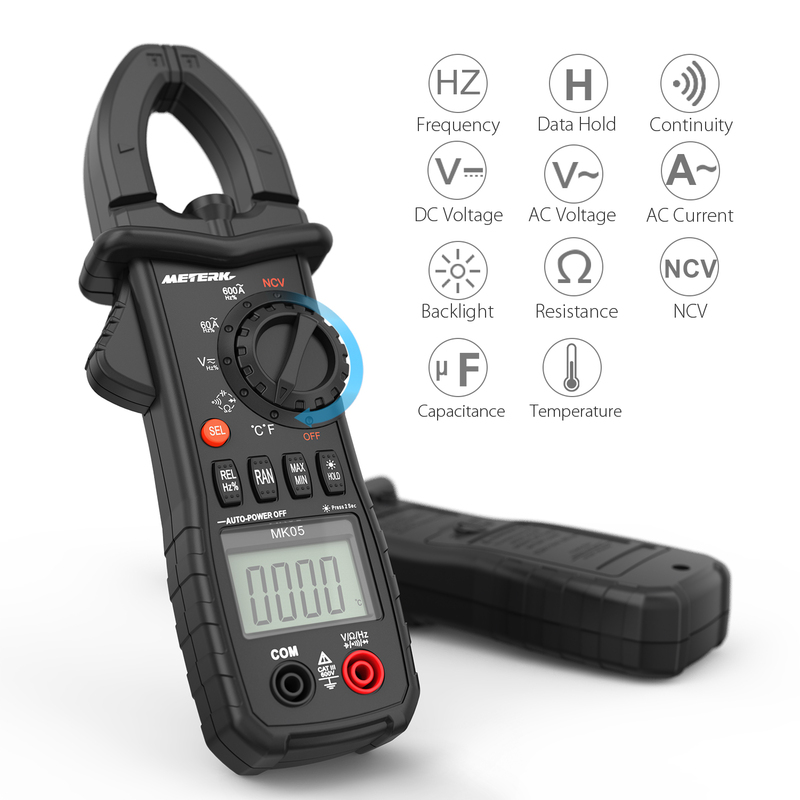 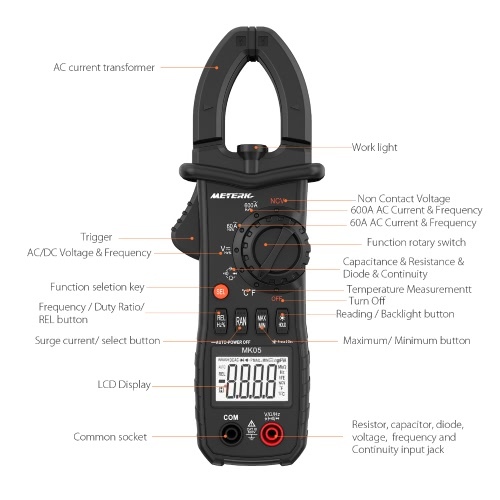 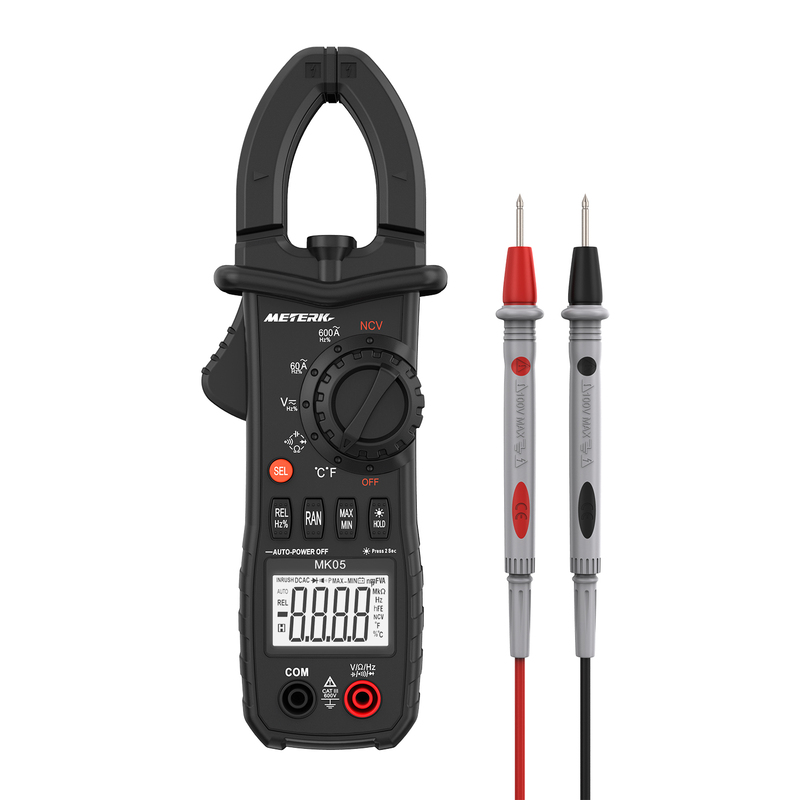 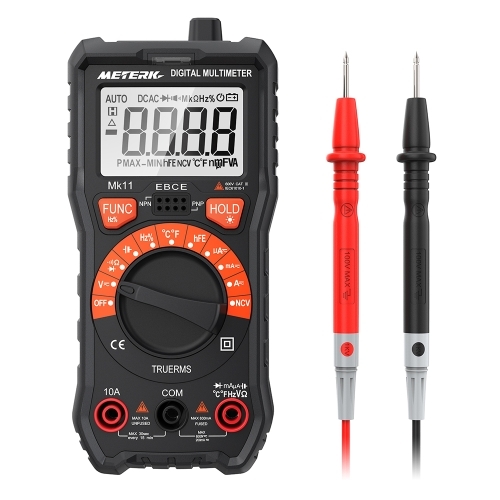 This LCD Digital AC/DC voltage clamp meter is a portable and professional AC current clamp meter which has everything you need for a full multimeter. 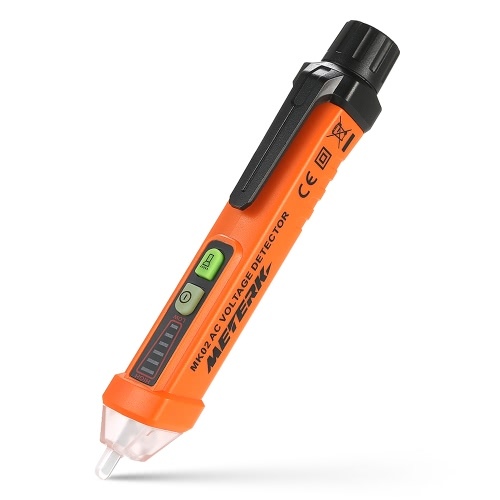 It is widely used for field, laboratory, shop, and home applications. MULTI-PURPOSE CLAMP METER WITH TRUE RMS AUTO-RANGE - Accurate AC/DC voltage, AC current, frequency, duty cycle, diode, capacitance and resistance measurement. 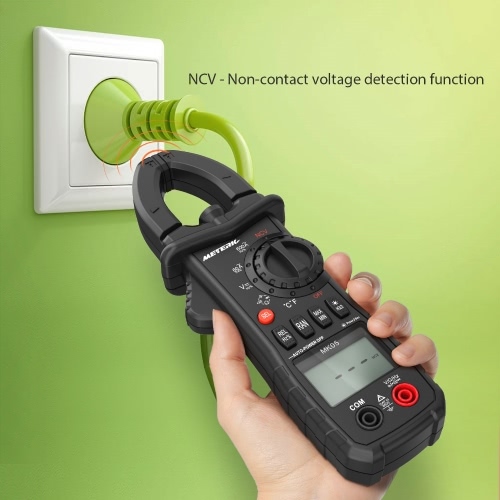 WITH NCV & LIVE LINE TEST FUNCTION - Non-contact voltage detection function with a sensor to detect voltage and avoid electric shock without touching any wires. 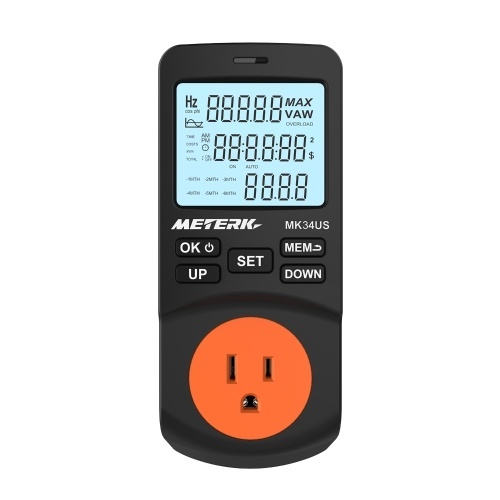 Light and sound alarm if detects the AC voltage (6-600V) or live wire. 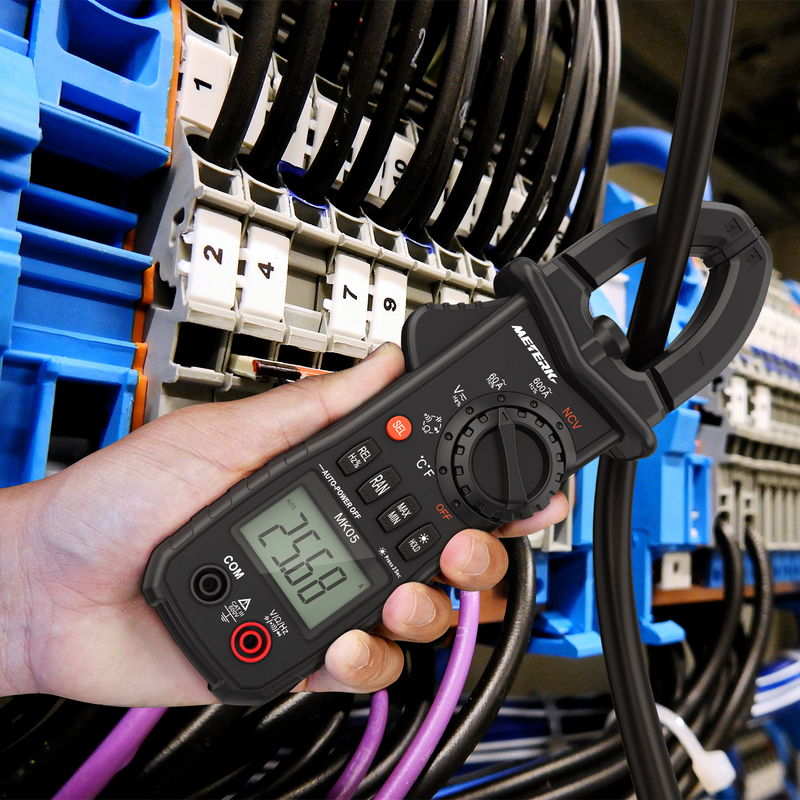 CONTINUITY TEST & OVERLOAD PROTECTION - Designed to safely and accurately confirm the circuit conducts electricity with low voltage indication and overload protection. 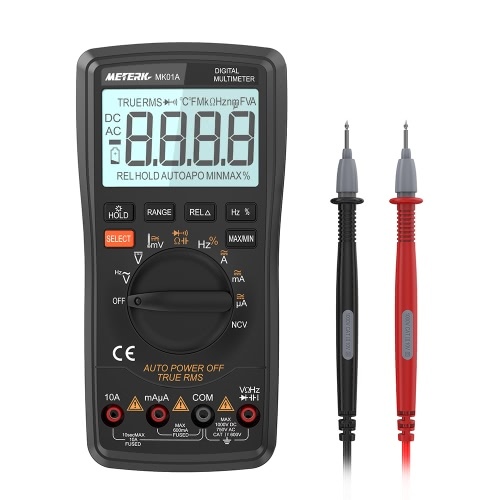 Shows "OL" on the LCD if over the range. 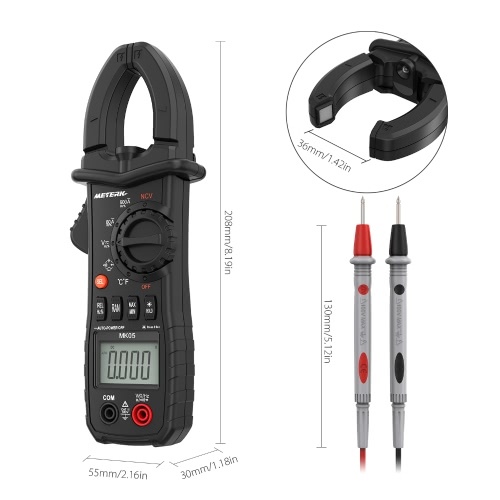 EASY TO USE AND READ WITH LARGE LCD SCREEN: Small and portable to carry and use. 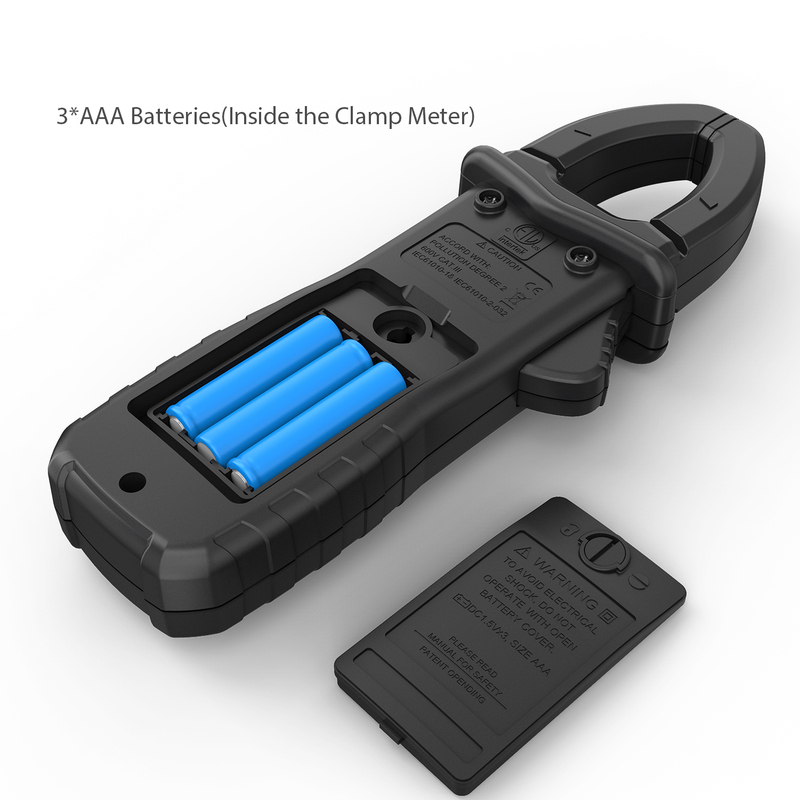 High resolution and low battery indication. 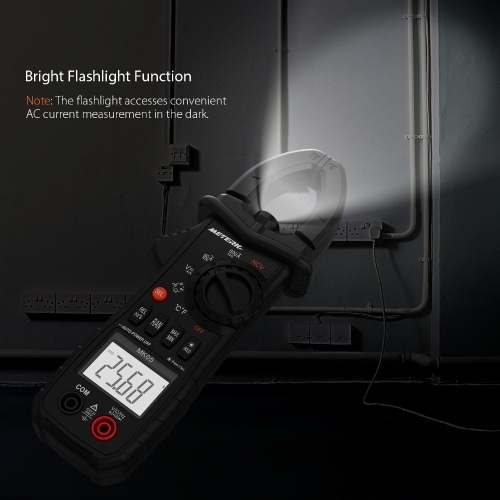 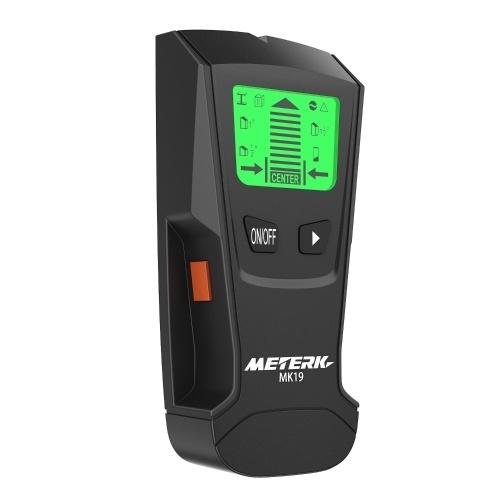 The flashlight access convenient AC current measurement in the dark. 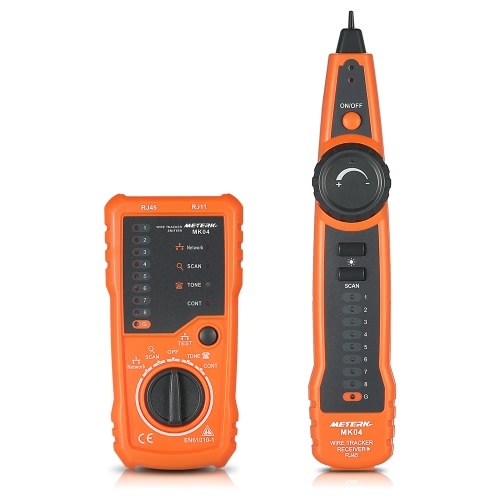 Data hold, auto range and auto power off. 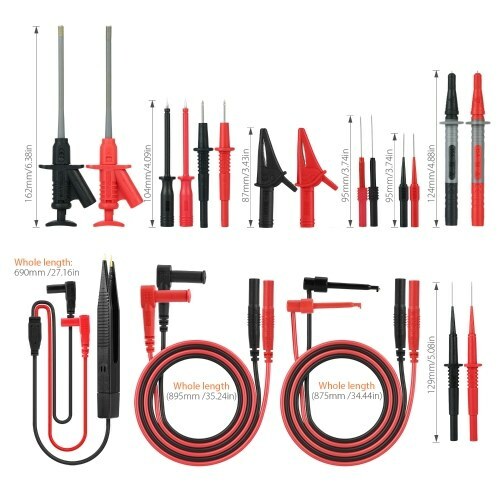 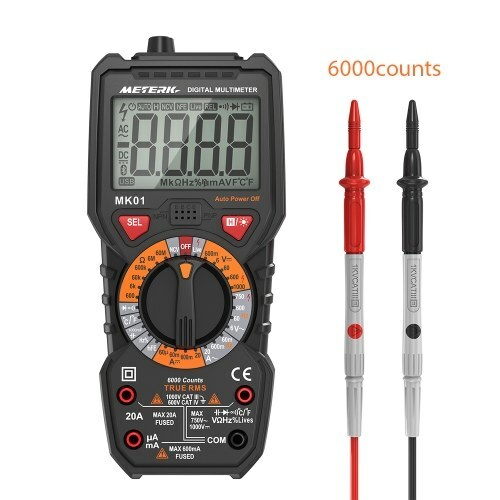 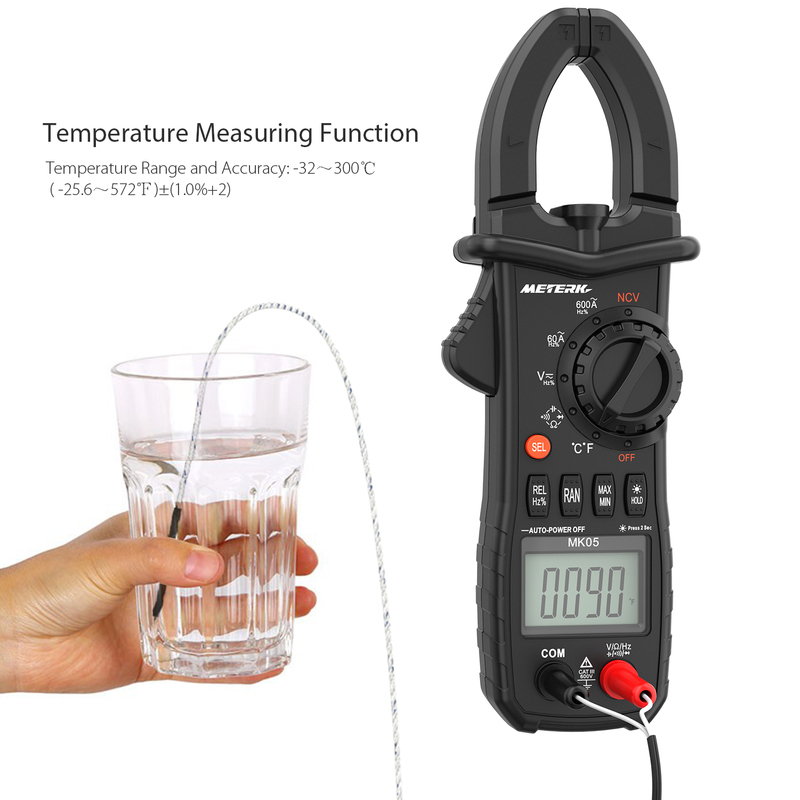 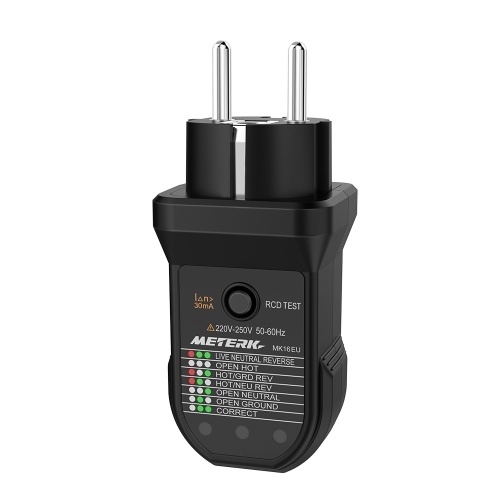 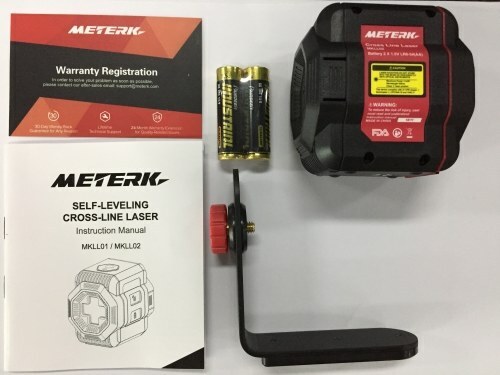 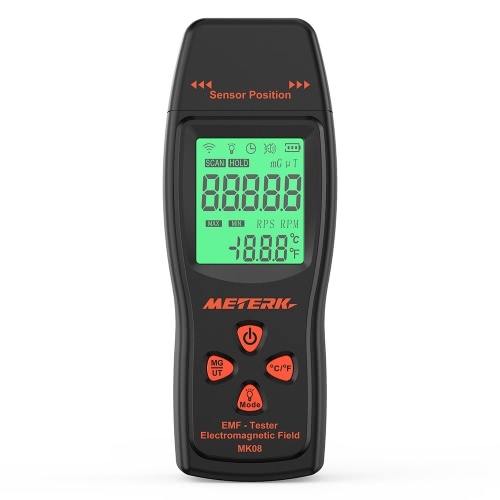 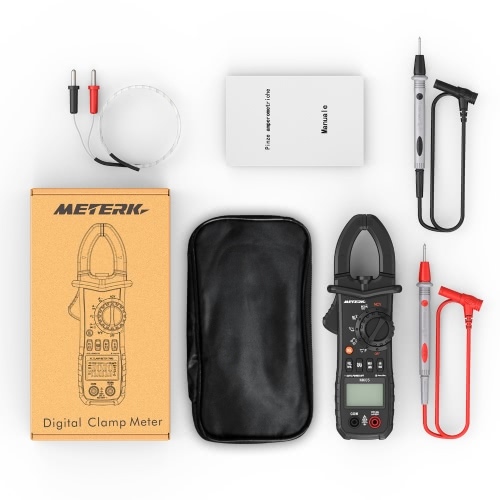 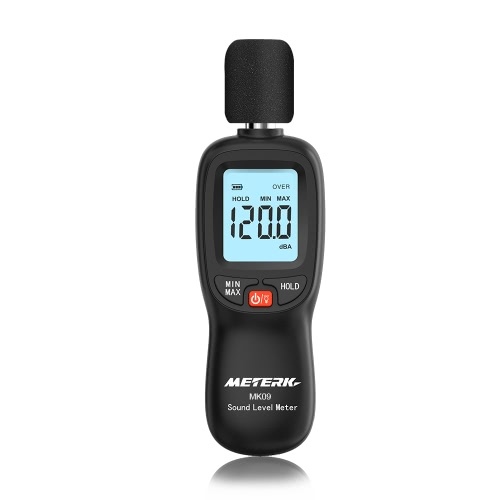 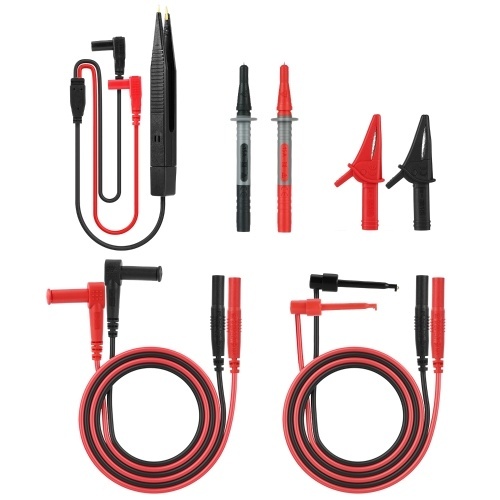 YOU WILL GET Meterk Digital Clamp Meter, 1 Pair of Test Probe, 1 Temperature Probe, 3 AAA Batteries(Inside the Clamp meter), User Manual (English + French + German + Italy + Spanish), 1 Storage Bag.